Today, the Supreme Court of Kentucky ruled HB1 unconstitutional and reset the state legislative district boundaries to their 2002 (pre-HB1) boundaries. This means that if you voted for Bob Damron in 2010, you should vote for Bob Damron in 2012. No Democrats face primary challengers and so our slate is set for November 6. 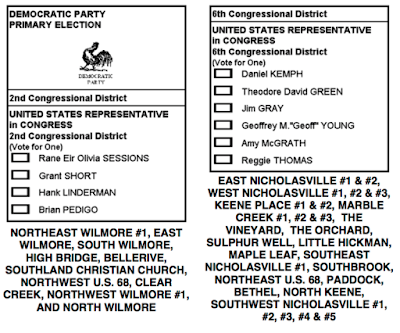 You can learn about our candidates by clicking on the "Elections" tab above or by clicking here.